We have restyled Visual Composer popup and added tones of improvements. On top of that we have added field stacks and custom field sets. 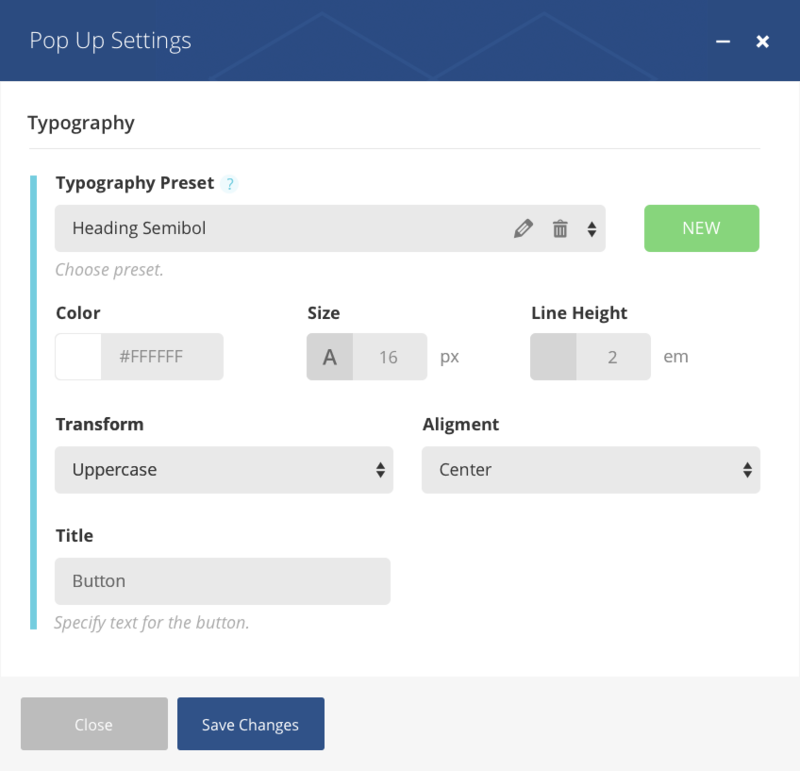 We have completely redesigned the Visual Composer popup to be more readable. We have also adjusted the layout to support field stacks. Each of the fields inside the popup has a tooltip with description of each field. We have also created many custom fields like background, icon, typography which you can see bellow. Here you will find all typography options. Here you can change size of your fonts. Set line height for your text. Add a text to your shortcode. Bacuse Massive Addons is such a vast and highly customizabe plugin we had to create more advanced field types to handle all of the settings. Below you will find examples of custom fields. Dropdown where you can choose between Icon Font, Image and Character. Choose icons from over 2500 awesome icon fonts. Set up animation for elements within shortcodes. 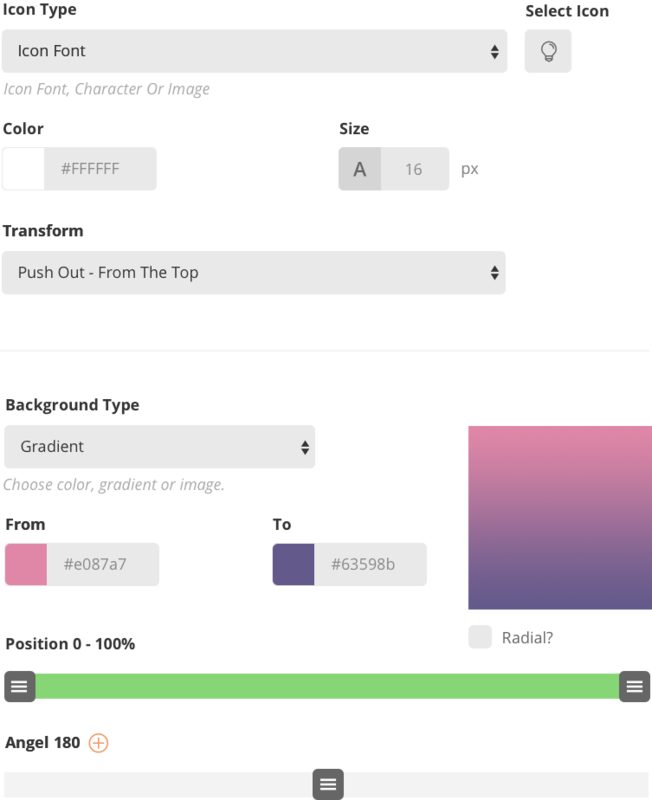 Easy to use sliders let you set up your shortcodes quickly. Navigate them with mouse or keyboard. Each of the shortcodes having a e.g. background setting uses the same fully customizable field set. The same goes for any other custom field set.